Blaze Pizza: Free delivery from participating locations for orders placed on the restauratn's free app. It's also a good way to score some free goodies on Election Day. OwowCow will give you a free mini-cone when you stop in and show your "I Voted' sticker". You can get the freebie by showing your "I Voted" sticker, or through the app by adding crinkle cuts to your order and including the code "ivoted". Spyhouse Coffee: Get a free 10 ounce coffee. With any purchase, customers will get a free cookie Tuesday. She apologized for her all-caps use, saying "I JUST FEEL REALLY EXCITED THAT I JUST VOTED BECAUSE I FEEL LIKE IM TAKING MY FRUSTRATION AT THE INJUSTICES THAT HAPPEN IN OUR COUNTRY AND TURNING IT INTO ACTION!" Rubio's Coastal Grill: Per USA Today, "Get an Original Fish Taco paired with any Mexican or craft beer for $5 or choose an à la carte option such as a $2 Fish Taco Especial or a $1.75 Original Fish Taco Tuesday". 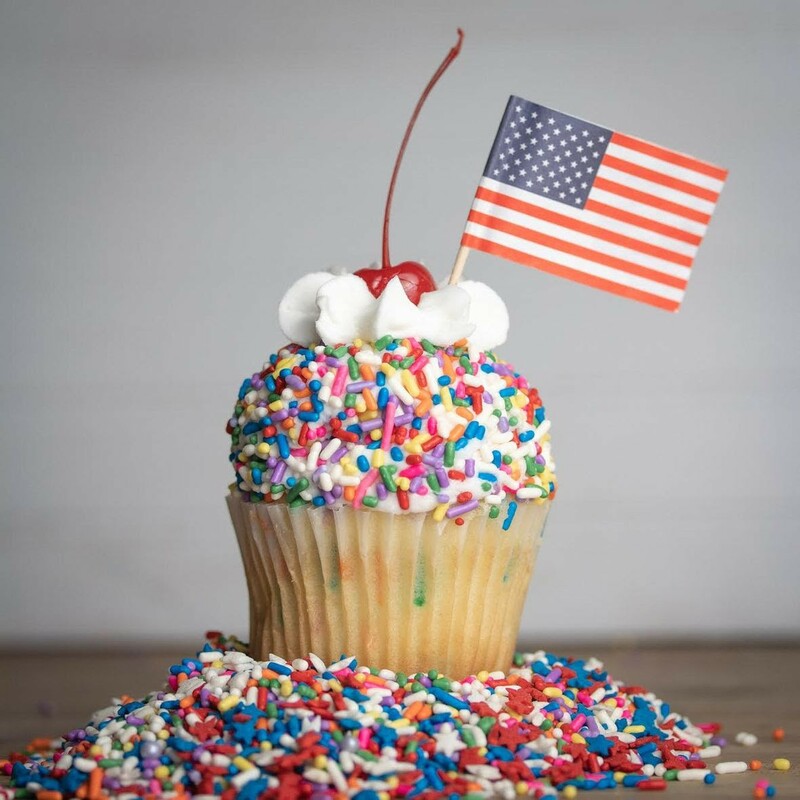 Blue Bird Cupcakes: Stop by for a 20 percent discount on cupcakes - bring that "I Voted" sticker.